Nigeria’s government has set a 60-day deadline for the privatisation of the state-owned incumbent telco Nitel, including mobile operation M-Tel. The announcement came on Monday as the Nigerian vice-president, Dr. Goodluck Jonathan, appointed a new board to the company to oversee its stabilisation. 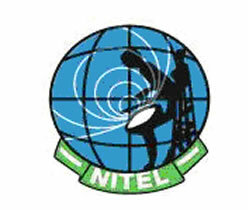 Nitel is in financial difficulty and faces intense competition. The firm’s employees have taken strike action this year over unpaid salaries and severance packages, with workers in some instances going without pay for eight months. History suggests that the new board’s task will not be easy – several attempts at privatising the firm have failed over the past four years – and the task is compounded by the urgency of the government-imposed deadline. In June this year the Nigerian government reclaimed control of the firm from local conglomerate Transcorp, which had failed – in the government’s judgement – to invest sufficient funds in the operation. In late 2005, Egyptian carrier Orascom was announced the winning bidder in the sale of Nitel but this was cancelled soon after when it was decided that the firm’s offer of $246m was too low. In 2006, Transcorp then emerged victorious in the bidding after Pan-African specialist Celtel (now Zain) pulled out of the running and acquired a controlling stake in M-Tel competitor V-Mobile. Mobile operation M-Tel is a long way off the pace in Nigeria, Africa’s most populous nation. The subscriber bases of MTN, Globacom and Zain range between 15 million and 28 million, according to Informa Telecoms and Media’s WCIS service, while figures for June this year show M-Tel with under 300,000 subscribers.